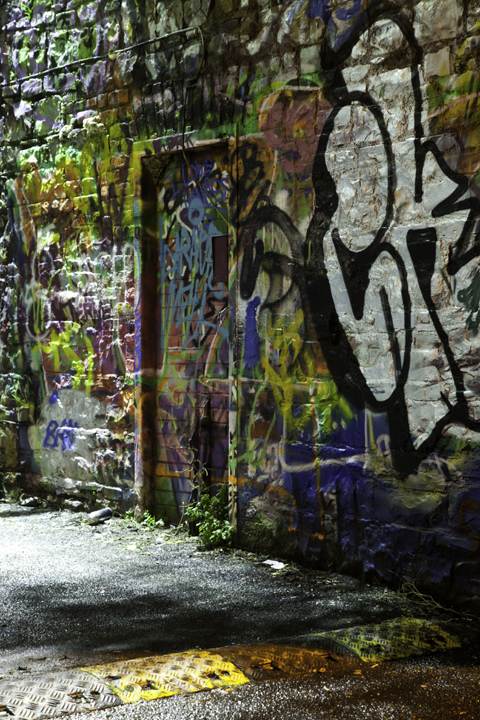 « Graffiti: An art gallery in the backstreets of Toronto. Night photography is more about color and light than the sunlight we work with in daytime photography. At night we work with different spectrums of light giving off various colors that both lights our subject and reflects off of the environment around it. Photographs taken at night show off the light in so many different ways because it is contrasted against the dark so much more and because there are so many different types of light coming at us. At night I see so much more with the light than just illumination. 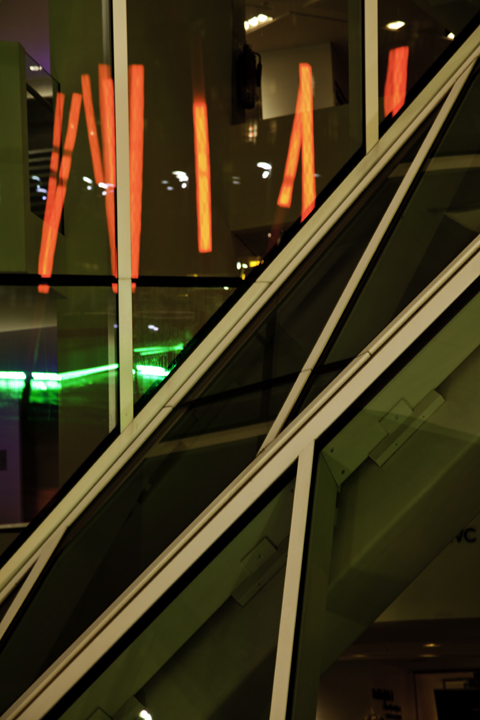 The colors, glare, contrasts, reflections, and textures: photographing at night, for me, is more abstract. It brings out the rebel in me. I always love the opportunity for night photography. Yet I have few opportunities because, well, it’s at night and walking around with a camera, passing dark streets and alleys is not a really safe thing to do–especially if I am not familiar with the city. 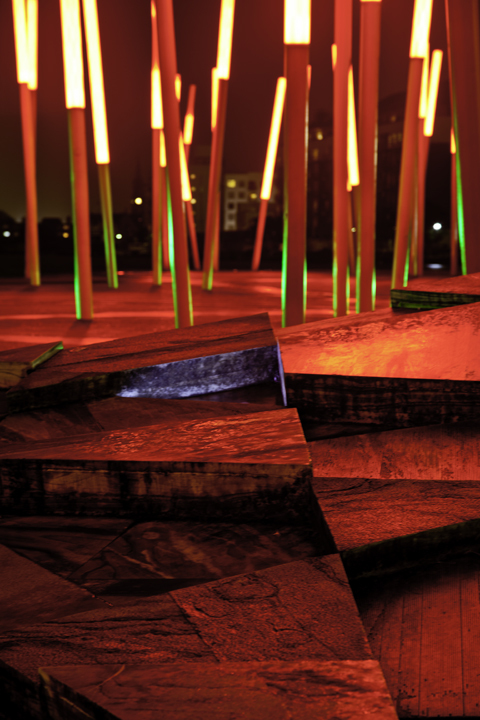 So with this in mind, I was thrilled when I found out that there was a guided Night Photography Tour of Dublin offered by www.Dawn2Dusk.ie. Not a workshop where someone would be teaching me what to do—no—rather a tour where the guide would take me and others out into a central area of Dublin and show us the best spots to take photos of different points of interest. 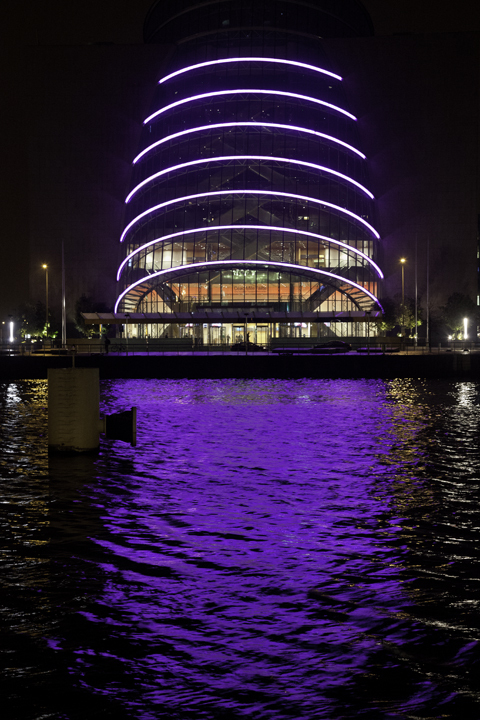 The tour takes place by the River Liffey, where one can take advantage of the reflections and textures of the river. Another plus that we had that night was that it was raining. Rain adds to the mood of the photos with reflections on the streets and pavement. It saturates the environment. A raincoat to protect yourself, an umbrella to protect your camera and a soft cloth to wipe it down if it does get a bit wet are all you need. I have a water resistant camera that can take some dampness. I also used a tripod. It’s a must if you don’t want camera shake and want to experiment more with exposure. 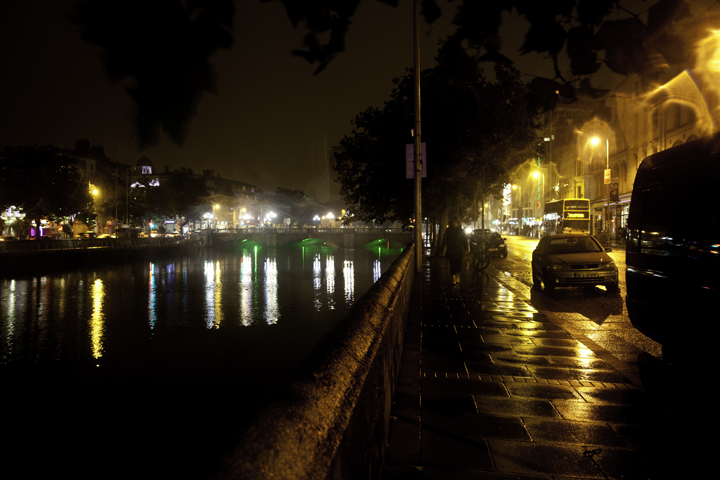 The Dublin by Night Guided Photography Tour is the brainchild of David Cooke and Yvonne Costello of Dawn2Dusk that offers various photography tours throughout Dublin. 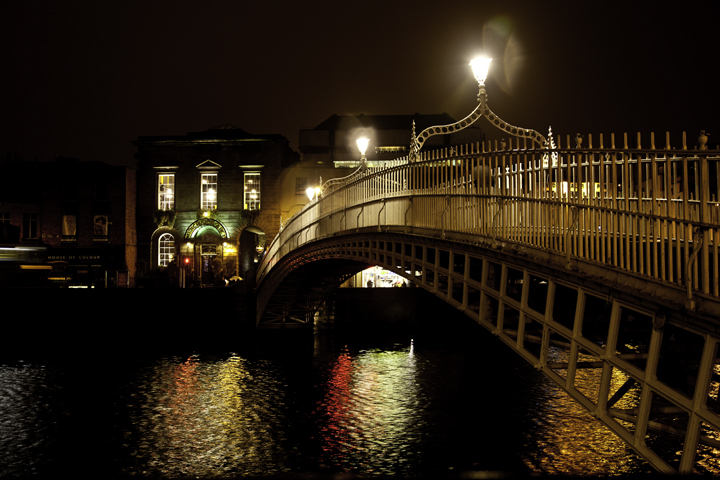 They began the night photography tour in the beginning of 2013 and have done a lot of footwork looking for the best spots for great photo shoots of the different bridges and buildings that are along the River Liffey. David also gives interesting historical information about the areas that the tour stops at. 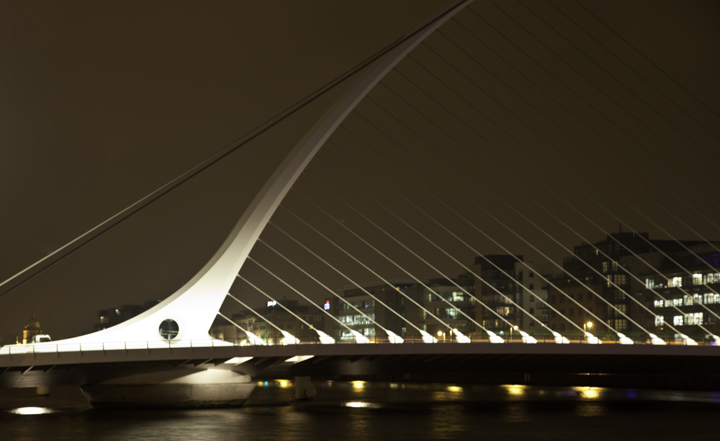 Dublin has a lot to offer with its long history and development to what it has become today. This Night Photography Tour is a plus giving visitors the opportunity to take night photos of this interesting and vibrant city.